Description: What a stunner! 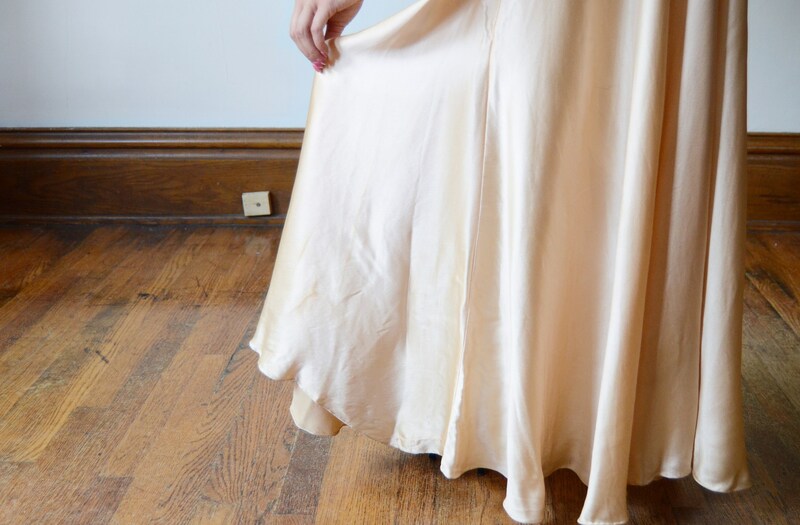 Pale peach liquid satin evening dress with a bias cut and plunging cutout beaded neckline. Dress has gorgeous deco seaming. All edges are hand rolled and stitched, and there are some side snap closures. Fabric: Liquid satin. Likely silk. Condition: Fabulous wearable shape, this dress got a very quick vinegar rinse to eliminate watermarks and any storage smells. There are some smudges on the skirt that I did not want to aggressively stain treat, as they really don’t stand out much. See images, there are two towards the back that stand out the most, which are visible in the third photo. 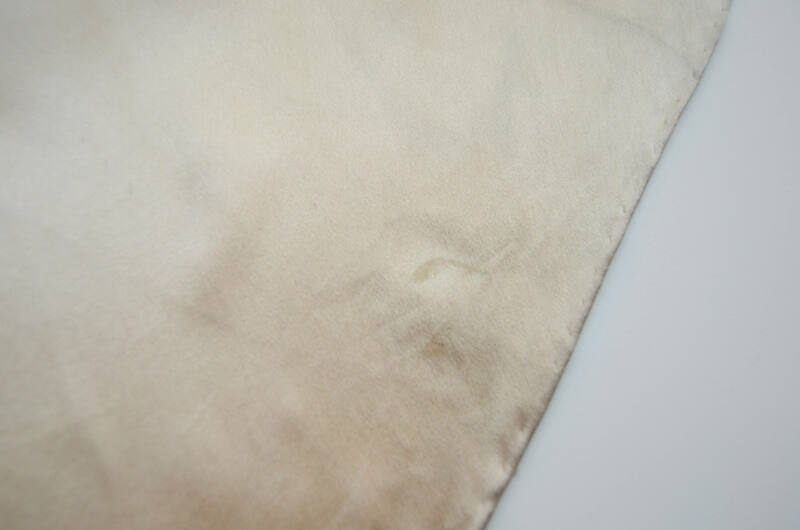 A couple hand stitches to one of the art deco seams on the front. 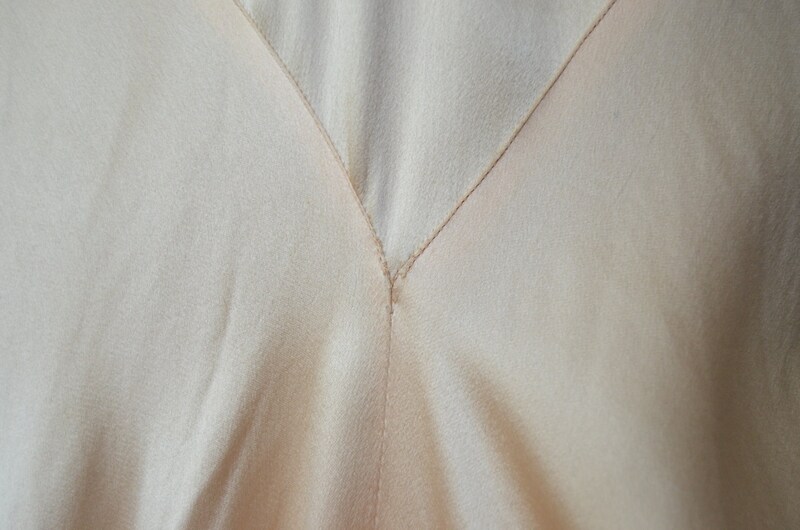 Very light underarm wear, because of the shimmery fabric these flaws are luckily more hidden. This is a stunning, wearable dress. Feel free to message me with any questions or additional photo requests.